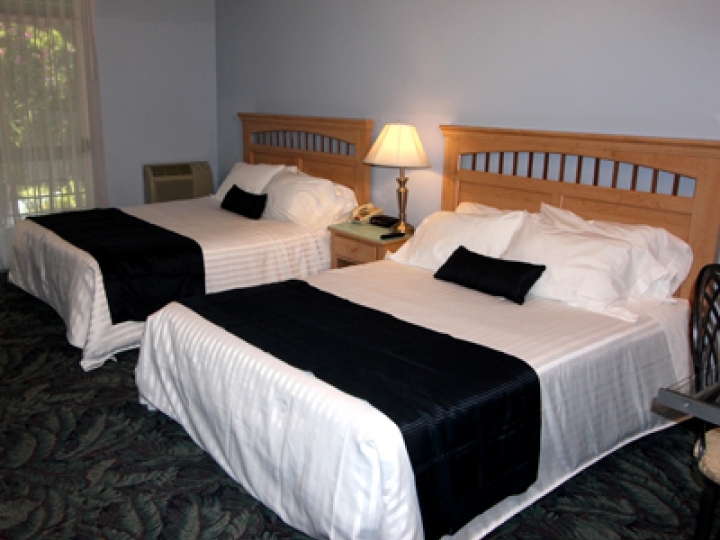 For the lowest rates -- book online here on our website or call us at: (800) 404-5472. 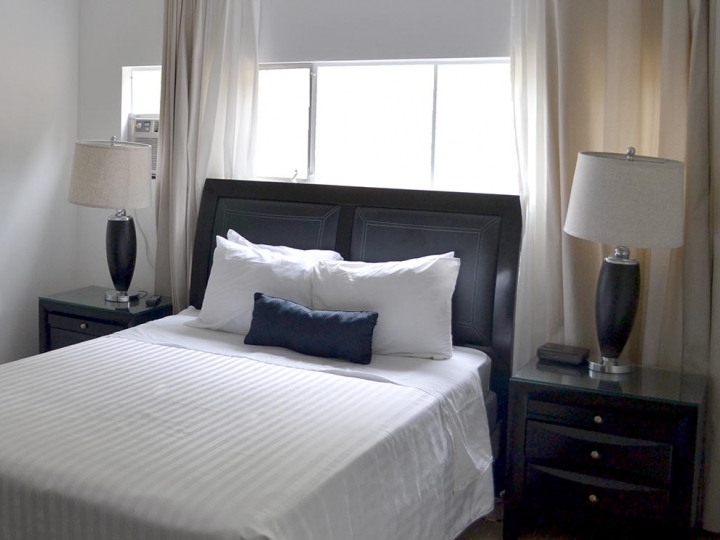 We are located in the heart of Hollywood near the legendary Hollywood Walk of Fame and the infamous Sunset Strip. 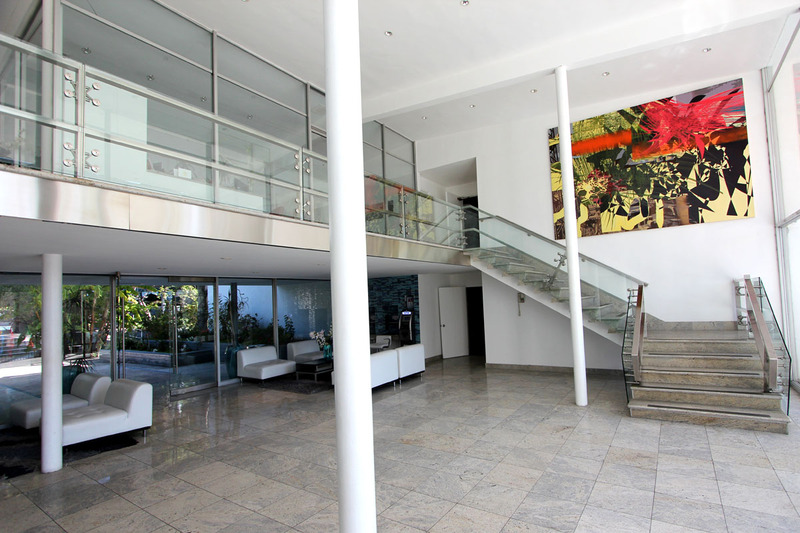 The property is nestled in the Hollywood Hills offering a lush garden atmosphere plus the contrasting excitement of being in the movie capital of the world. 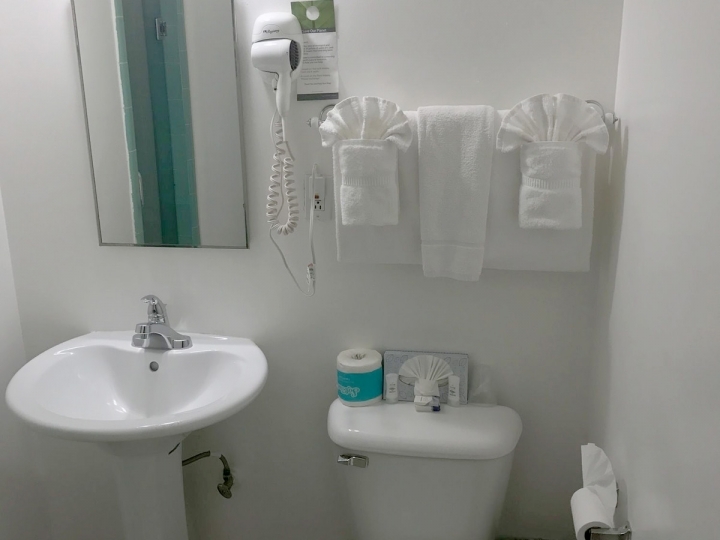 We cater to our guests' personal needs by offering rooms with fully-equipped kitchens, flat screen color TVs, direct dial telephones, plus for your convenience: 24-hour front desk coverage, a fully equipped laundry facility, a refreshing heated swimming pool plus on premise self parking. 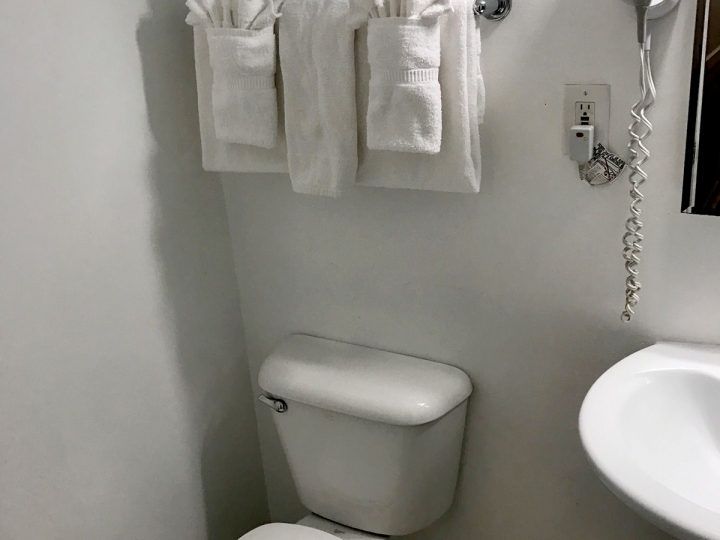 With the Highland Gardens Hotel as your base, you have the best of Hollywood and Los Angeles at your reach. 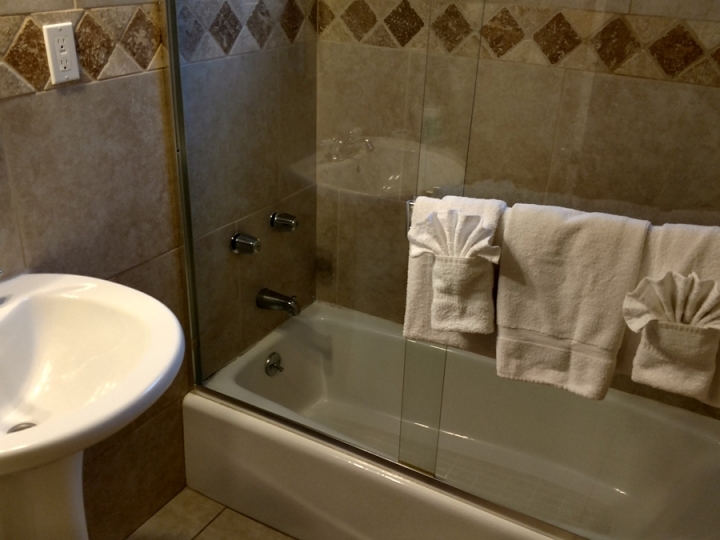 Single room with standup shower. 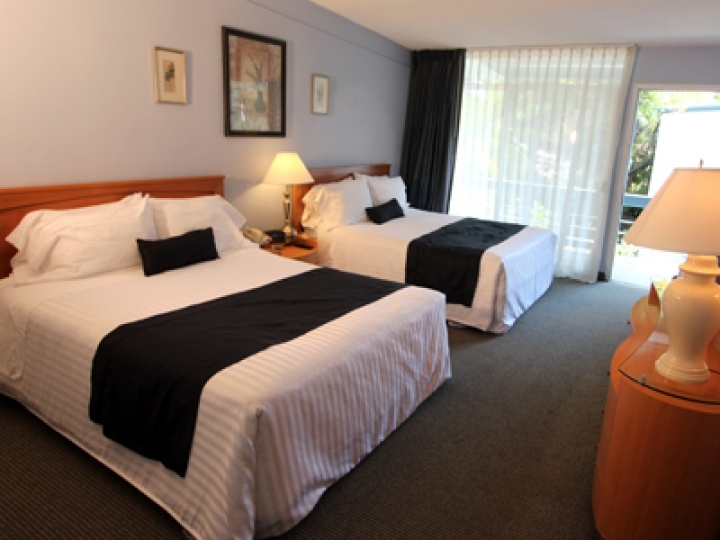 Standard Double room has 2 Queen size beds. 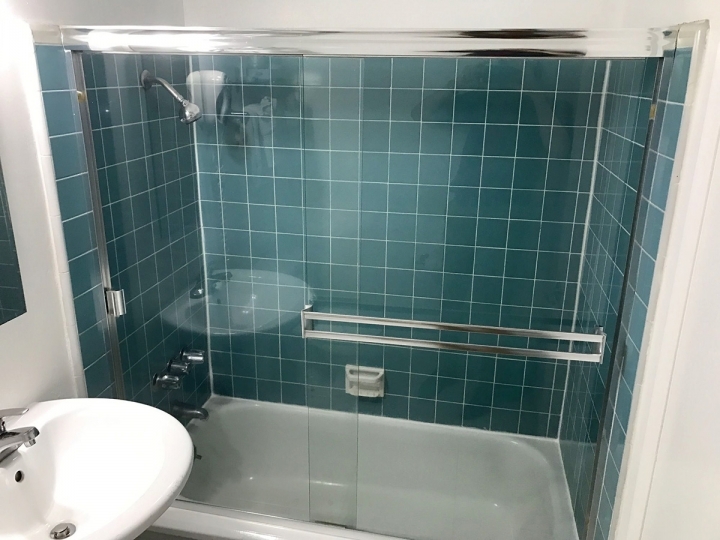 Single room with small kitchen plus an attached bathroom with bathtub/shower combination..
Standard Double with Kitchen has 2 Queen size beds. 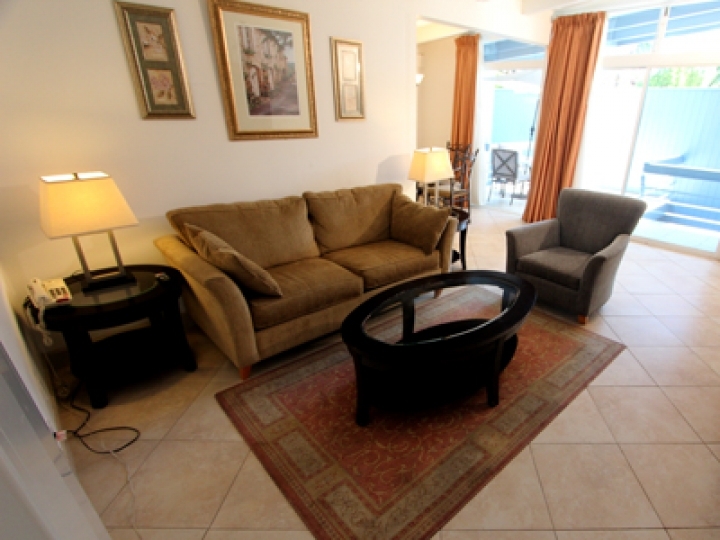 1 Bedroom Deluxe Suites includes 1 bedroom with a full kitchen plus living room. Queen size bed plus fold out couch in most rooms. Check with the Front Desk. 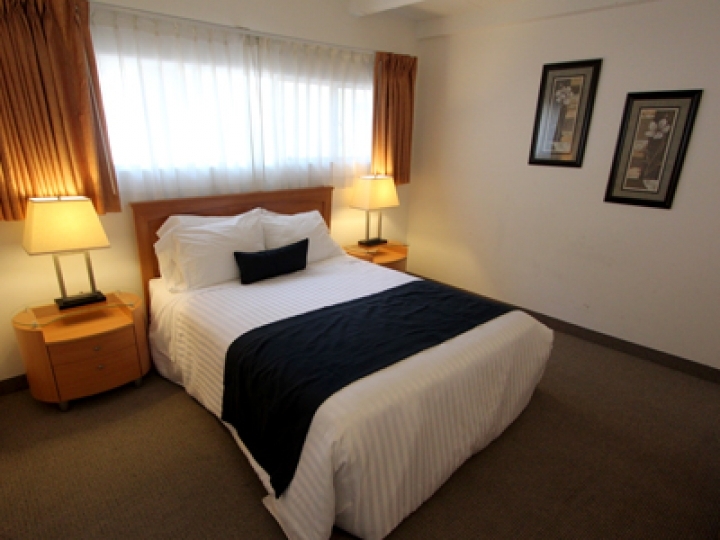 2 Bedroom Deluxe Suite includes 2 bedrooms with a full kitchen plus living room. 2 Queen sizes bed plus fold out couch in most rooms. 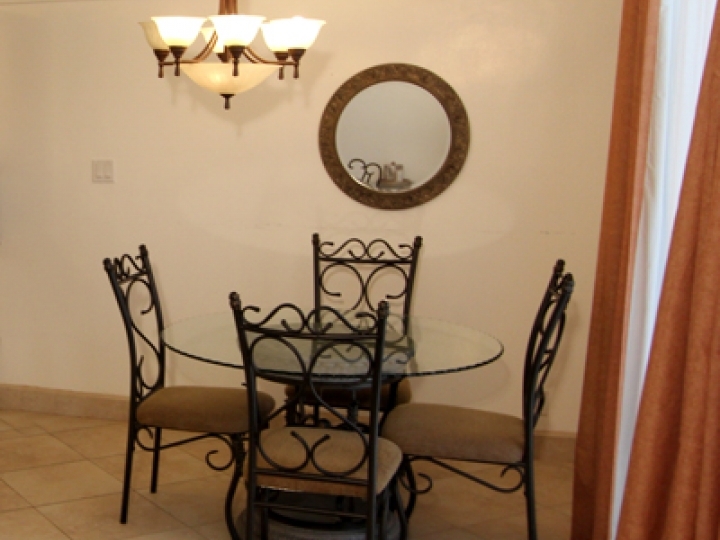 3 Bedroom Deluxe Suite includes 3 full bedrooms, a full kitchen plus living room. Suite includes three (3) deluxe Queen beds.